Brain Waves Issue 15: Welcome to 2019! Learn about ListenUp 2019, influencer marketing, and meet our new Account Executive. You'll also find our latest vlogs and blogs. Enjoy! Hi. Welcome to 2019. Some of you I know really well, and others I have not yet met. Something you may not know about me is I have a bit of an obsessive personality. When I take an interest in something, I want to know everything about it. I go all in. This includes hobbies like gardening and traveling on the cheap with miles and points, as well as my professional interests. Some might even call it an infatuation. I believe that when you really dive into something, through obsessive learning, trial and error, and yes—listening to understand the depth and nuance of the community surrounding the topic of interest, you connect with your full purpose and potential. Instead of learning about or participating in something, you experience it. You become better for it, and so does the community. Directed infatuation is valuable. This infatuation extends to brains. I love watching brains at work. I become infatuated with brains that think big ideas, make connections between disciplines I could never make on my own, and co-create solutions to the most pressing problems in our industry. These brains work a little differently than most. They may be interpreted as unconventional. They may be prone to breaking rules. That’s all the more reason I love them. Last year, I was introduced to another company full of brains like this: Switchboard. We’re all obsessed with the concept of listening. So of course, weeks after meeting we decided to host a conference about it and get as many beautiful, unconventional brains in one room as possible. Along the way, we decided to try to fix everything we dislike about higher ed conferences. The event is purposely small so you actually get to know the people there. The schedule is curated by the Campus Sonar and Switchboard teams to provide a balance of inspiration and interactive problem-solving. You just read some of my opening remarks at ListenUp EDU 2018. Our first event was an experiment, and a success. We’re bringing it back for 2019, in April, in Portland, OR. You’ll learn more about our sessions and speakers in the next few weeks, but trust me that they’ll exceed the high bar we set in 2018. We asked 2018 attendees how they would describe ListenUp to someone else, and here’s what they said. "ListenUp is a space to solve problems, learn to ask better questions, and take the time to do hard work well." "Very interactive and creative. Aimed at changing how you work and think about work vs. coming home with one new big idea." 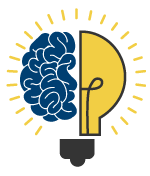 "Forward-thinking and intimate gathering of smart, driven, and compassionate professionals dedicated to letting their stakeholders frame their work." ListenUp is not a social listening conference (but we’ll talk about it a bit). It’s not a marketing conference (yeah, we’ll cover that, too). It’s a cross-functional gathering of higher education professionals who believe that adopting a culture of listening, service, and trust-building can accelerate student success outcomes, alumni engagement, marketing and communications, and advancement. When members of your community feel heard, invested in, and served by your institution, they’ll trust you, volunteer, and donate. Without their trust, our institutions can't survive. The stakes couldn’t be higher: democracy and the next generation’s economic mobility depend on higher education's ability to get this right. I hope you’ll join us in April. Between the content and the group that we’re gathering, it’s a potentially career-altering event. I would not say that if I didn’t believe it. We also believe this is a valuable experience for you to have with colleagues in different functional areas, so you’ll receive a registration discount for two or more attendees from the same campus. Register early, as this is a capacity-controlled event. Early-bird pricing ends March 1. Need to feed your FOMO? Check out the tweets from #ListenUpEDU 2018. A year ago, Liz Gross wrote about higher ed’s need to embrace influencer marketing. Influencer marketing isn’t just trendy, it supports strategic goals and provides benefits valuable to our industry. Since then we’ve published a lot about the benefits of influencers, how to use them, and where to find them. If you haven’t integrated influencer marketing into your 2019 strategy, now is the time. 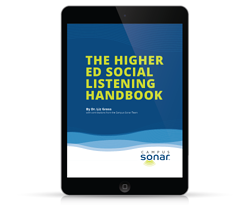 The Higher Ed Social Listening Handbook. The handbook contains a research summary on social media influence on college choice, qualities of an influencer, benefits of influencer marketing, and using social listening to identify influencers. You’ll also find two case studies and best practices for influencer marketing. Download the free handbook today. Influencer Marketing in Higher Education. An explanation of influencer marketing in higher ed and how you can harness the power of peer influence for strategic impact. Exclusive! Benefits of Influencer Marketing Vlog. Influencers create a connection between audience and content. Campus Sonar Founder and CEO Liz Gross shares how embracing influencer marketing can contribute to your strategic goals and provide tangible benefits that are valuable to your institution. 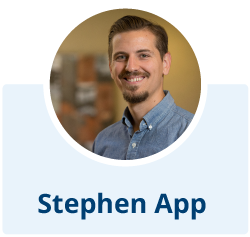 Campus Sonar’s newest Sonarian, Stephen App, is a natural marketer and relationship builder who has spent more than ten years in higher education. As an Account Executive, Steve works with campus professionals to shape social listening programs that help meet strategic institutional goals. Learn what makes Steve tick, outside of donuts, Twitter, and the Oxford comma. What intrigues you the most about social listening? I think more than anything, it’s the breadth and depth of Campus Sonar’s capabilities when it comes to social listening, as well as the applications for the insights uncovered through the process. In many ways, I’ve learned in my time here that “social” listening is a bit of a misnomer. Our analysts are able to discover conversations taking place about an institution on so many channels beyond social media networks. Similarly, I’ve already had conversations with clients and prospective clients about using social listening for engagement opportunities, share of voice metrics, brand health, and other applications. The possibilities seem endless to me. What’s the most surprising thing you’ve learned about social listening? How intricate the actual queries are. On my second day, Campus Sonar’s Research Manager, Amber, did a collaborative social listening exercise with me that (of course) involved donuts. I was blown away by how detailed and precise the queries needed to be in order to uncover the conversations we were looking for while excluding the noise that made the data hard to find. What current part of your job is your favorite? Without a doubt, it’s getting to speak with campus professionals on a near daily basis. For me, every conversation is an opportunity to learn about the challenges facing institutions across higher education. For those outside of higher ed, I find there is an assumption that all schools operate in the same way. In reality, every institution is unique; my conversations are proof of that. What would you like to accomplish in your job this year? This position is a real challenge for me, but with challenge comes immense opportunity. Certainly, I expect to become savvier in my understanding of social listening. But I’m also looking forward to growing Campus Sonar’s client roster and as a result, growing and leading our business development team within Campus Sonar. My wife and I tend to wildly fluctuate between shows, based on whether we feel capable of handling something a bit heavy or just want to lay back and be entertained. Recently, our mix has included Season 2 of Making a Murderer, Patriot Act, Tidying Up with Marie Kondo, and re-watching episodes of The Office. I’m a proud Twitter power user. In my phone’s digital activity report, Twitter is always the most commonly used application. I love Twitter because it allows me to discover new people and information better than other social platforms. Increasingly, it’s becoming my only active social network. I gave up Facebook in early 2018, as a type of social cleanse at first and then never felt compelled to go back. I use Instagram occasionally, but I’m much more likely to lurk than share. And of course, I try to visit LinkedIn, but it remains a social network that I just can’t bring myself to love, even though I also can’t bring myself to leave it behind. Does a super-powered metabolism count? My love of donuts is starting to become a problem… On a more serious note, if hypothetical superpowers can be serious, I’d go with the power of flight. I’m too much of a chicken to try hang gliding or personal aircraft flight, but I find flying so fascinating. There are so many interesting landscapes in our country, not to mention globally, and birds easily have the best view of them. Plus, with the power of flight, I could get where I need to go faster. It’s like taking the scenic route, without the delay in your arrival time. What is the biggest impact that social has on actual behaviors/relationships? It’s certainly helped me meet a number of important people in my life. My journey to Campus Sonar actually started when I met Liz on Twitter back in 2016. It’s also helped make in-person events, like conferences, less anxiety inducing. I tend to become fairly introverted in large groups, but I’m finding more and more that attending conferences has become easier since I built my network via social media. Now, instead of a wall of strangers, I’m increasingly seeing friends and colleagues. You’ve spent your entire career in higher education. What do you enjoy about this space? First and foremost, I still get excited about the mission. Higher education is by no means perfect, but at the end of the day, education, and degree attainment specifically, remains a critical path for social and economic mobility. When we help institutions better serve their campus constituents, we’re helping contribute to that mobility. How can you not feel good about that? Beyond the mission, I really enjoy the higher education community. Professionals in the higher education space are so generous with their time and insights, and are almost always willing to share advice with others. That type of environment is rewarding to be a part of and difficult to find elsewhere. What changes do you expect to see in social media in 2019? Lindsey: I think it’s safe to say that the discussion around privacy will continue to evolve. Consumers may be more cautious about how they use social media—from the privacy settings on their accounts to the types of things they talk about online. I also think we’re seeing people become more deliberate with their online presence. People are developing personas for what they let people see online as part of their “personal brands.” This may impact how people interact with businesses and other organizations publicly online. Traci: I expect to see more social media accounts set to private and an increased demand of privacy from social media platforms. Pew Research Center reported that in 2014, 80% of users were concerned about businesses accessing the data they share on social media. This was before Facebook’s Cambridge Analytica data scandal which resulted in an outcry for privacy regulation. While I believe users will continue to push for government regulation to protect their privacy, it may not result in sweeping regulation, rather, individual users taking matters into their own hands by making their accounts private and an increase in ease-of-using privacy controls on social media platforms. Rochelle: I believe the trend of consumers pressuring social media platforms and brands who use them to behave ethically with their data will continue to impact the social media landscape in 2019. On a micro-level, the particularly civic-minded consumer may find him or herself taking greater care with their digital footprint, perhaps deleting an account or changing privacy settings. That said, I don’t anticipate the conversation about privacy concerns will translate to the macro-level in our data and reporting. Social media is just too engrained in our day-to-day lives and the volume of users overwhelms those micro-level changes and policy discussions. We're hiring a Social Media Data Analyst. Love data analysis, logic, investigation? Have strong communication and collaboration skills? We can teach you social listening if it's new to you. Learn more and about us and read the full position description. If you have a strong interest and questions related to the role, fit, company, or culture, please contact hiring manager Amber Sandall. 8 Must-Attend Conferences for Higher Education Marketers in 2019 Campus Sonar is attending a few of these and many more. What higher ed conferences are you attending this year? See if any of them made this list from OHO Interactive. 9 Higher Ed Trends to Watch in 2019 December and January are full of articles with predictions for the coming year. The pressure is high and more and more stakeholders are looking for a return on their investment. Education Dive offers some areas where campus leaders can make that happen. Data-Driven Communications Make a Difference Eighty-seven percent of students who received personalized communications said it was an important factor in their college decision. In a survey of students, alumni, and administrators, Ellucian reports that personal communication does make a difference. Higher Ed Live: Higher Ed Trends 2019 Edition On a new episode of Higher Ed Live, Ashley Budd interviews Seth O’Dell about what the upcoming year will bring to higher ed—relevancy, authenticity, and technology-enhanced relationships are just a few of the things on his list. How Social Listening Drives Communication Strategy Liz Gross spoke at the AICUO Communicators’ Summit earlier this month. Listen to her live-streamed talk about how campuses can leverage intelligence from online conversations to inform communication strategy in the areas of public perception, alumni engagement, crisis awareness, recruitment, and more. How Social Media Is Transforming PR and the Consumer-Business Relationship Clutch surveyed 532 social media users to find out what consumers expect on social and how the interactions impact their view of brands. The bottom line is that consumers’ expectations of companies are growing. The Most Important 2019 Higher Education Marketing Trends Fifteen innovative higher ed marketing strategies that campuses will be using in 2019. See if you’ve worked any of them into your marketing strategy. Liz will be enjoying the event; catch her at the #emchat reception or between sessions. NAICU Annual Meeting, February 3 to 6—Washington, D.C.
Liz presents a session detailing our newest research. Attend “Online = Real Life. New Research Benchmarks the Online Conversation about College Campuses” on February 5 at 9:00 a.m.
Liz and Ashley Rains from Spring Hill College present “Using Social Listening to Understand Brand Perception and Inform Marketing and Communication Strategies” on February 26 at 1:30 p.m. Make sure you stop by our exhibit booth to meet Campus Sonar’s new Account Executive, Stephen App!